The Old Vicarage Garden will be open for an event being run by the Sensory Trust. Today from 11am-2pm, there will be tea, cake and free dementia-friendly activities. It’s going to be a lovely day – and the Old Vicarage Garden is in full bloom – apple blossom, cherry blossom… all out in full. Come and sit in the sun, share some cake… all free. 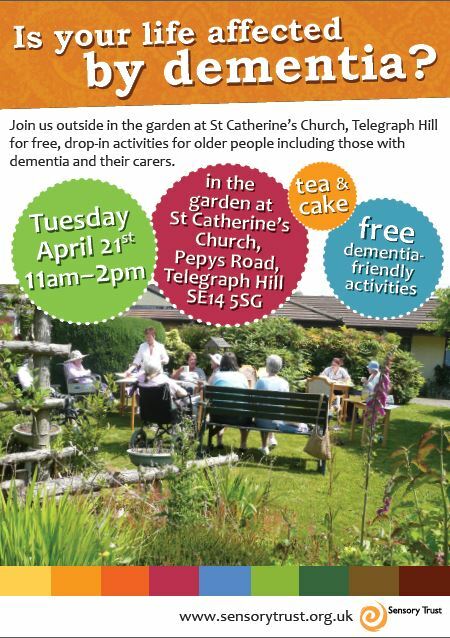 All are welcome – those with dementia and those who don’t have dementia but who’d like to sit in this lovely, secluded… almost secret garden. Access from Pepys Road, near main church gate – clearly signposted.